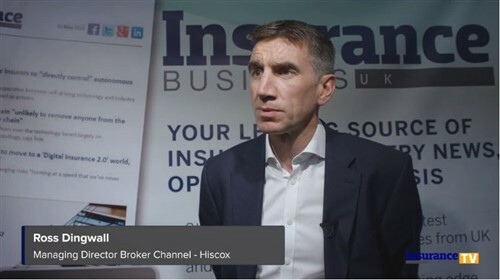 Kingsbridge Contractor Insurance has launched a cyber liability cover product, following the release of its specialist media insurance package and dedicated legal expenses solution for the broker’s 35,000 contractor and freelancer customers. The 24-hour service provided by professional services firm RPC will aid in determining the cause of the breach; assist in the recovery of any lost data; and help in restoring compromised systems to working order. It also offers guidance on possible business ramifications, as well as on regulatory or legal exposures. Underwritten by QBE Group, the product is available as an add-on for new policyholders of the standard Kingsbridge insurance package, as well as for renewing customers. Excluding Insurance Premium Tax, the annual cost of the policy is £74.50. He said Kingsbridge felt it was the right time to launch the new cyber product, amid contractors and freelancers’ growing dependence on digitalisation. The days of relying solely on antivirus software are gone, according to group chief operating officer Dorian Zanker. “The number of advanced persistent cyber threats is rapidly going up and, as the recent report from the ABI (Association of British Insurers) noted, three quarters of SMEs are reported to have suffered a security breach in the last 12 months alone,” noted the COO. The Gloucestershire-headquartered firm, which also has offices in London and Liverpool, has more than doubled its turnover in the last two years. In June 2016, UK private equity firm Dunedin bought a £33 million stake in Kingsbridge.